Our SmarterMail based solution delivers Exchange-level email server software, calendaring, and contact management for a fraction of the cost. iHwy, Inc. offers a complete array of email hosting services. At the top of the list is our SmarterMail service that provides all the features of Microsoft Exchange (and more) without the cost or added complexity of Exchange Server. SmarterMail uses the ActiveSync service to ensure that all your devices are completely synchronized. Meaning all your email, contacts, calendars, and tasks will be available uniformly across all of your devices. Whether it be a PC, laptop, mobile device, tablet, or even our web interface, all your devices will be synchronized. This ensures you can work anywhere and any time. SmarterMail delivers Exchange-level mail server features for a fraction of the cost. With lower hardware requirements, superior stability, and reduced maintenance costs, SmarterMail has much lower Total Cost of Ownership (TCO) and is the best-in-class Microsoft Exchange alternative for businesses and hosting companies. 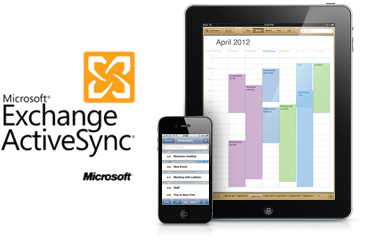 Syncing SmarterMail with most smartphones is quick, easy and automatic with Microsoft Exchange ActiveSync (EAS). The Exchange ActiveSync add-on is the only synchronization method that uses direct push technology to ensure changes in email and collaboration items are automatically recorded in both SmarterMail and a mobile device in real time. With improved suppport for EAS and increased prevalence in both mobile devices and desktop clients, SmarterMail ensures users have easy, instant access to all of their pertinent information. Access your email, calendars, contacts, tasks, and notes in the office, on the road, or at home with SmarterMail’s leading webmail interface. The mail server’s Web-based interface combines aesthetics with the full functionality of a desktop client, giving users the ability to communicate and collaborate around the clock from anywhere there is an Internet connection. SmarterMail’s contact managment allows users to keep detailed information on each person they communicate with, including the ability to log multiple email addresses per contact. That way personal communication can be separated from professional interactions. In addition, finding information on a contact in your address book has never been easier. Users can track entire conversations with a contact or view a list of recent appointments and attachments related to each contact with a click of a button. Plus, users can download, save or send contacts in .CSV or vCard format. 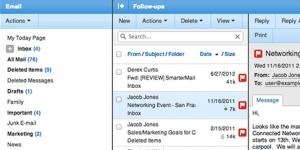 Simplify the process of switching email server software with SmarterMail. Mail server conversion tools help companies migrate multiple mailboxes or entire domains quickly and easily. Individual users can also use the mail migration tool within the webmail interface to import existing email and collaboration items from most email server platforms, including Gmail and Microsoft Exchange. SmarterMail boasts the strongest anti-spam and anti-virus features out-of-the-box, achieving 97% spam protection upon setup and installation. Plus, SmarterMail includes dozens of security protocols that prevent the mail server from being compromised. SmarterMail makes managing administrative email server tasks easier via a Web-based administration interface, events and notifications, and automation through Web services (APIs). A fully integrated XMPP (Jabber) based instant messaging system is available to instantly communicate with users within your hosted domain at NO EXTRA COST. No more emailing co-workers and waiting for replies, wondering if they are away from their desk. Instantly see co-worker availability and communicate with your colleagues in real-time! On the go? No problem! 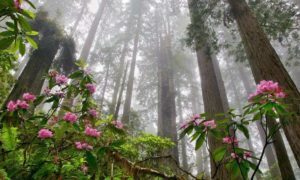 The XMPP (Jabber) based chat system works with almost any 3rd party client that supports the XMPP (Jabber) protocol; such as Trillian, Pidgin, Digsby, Adium and online clients such as; IM+ and IMO. The chat system is even fully integrated into the SmarterMail web-based interface so you never miss a message!